Chances are, you’ve probably heard that smoking is a great way to cook meat. In fact, specialty smoked meats at the store command a premium price. Thankfully, it’s relatively easy to create smoked entrees at home with your own pellet grill. 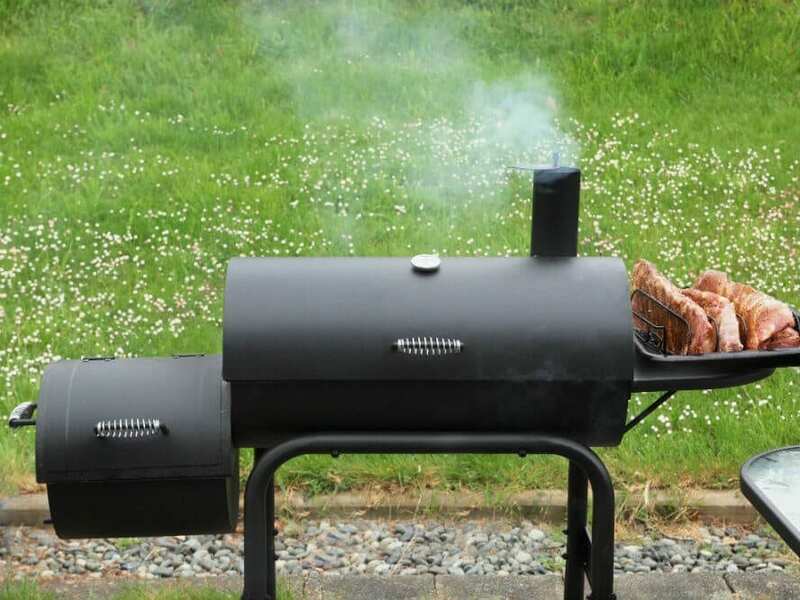 There are a variety of ways that the do-it-yourselfer can create a pellet smoker at home; the most common way is by converting a traditional barbecue grill into a smoker. If you’re feeling like doing a little extra, you might wish to try to get your hands on an old discarded grill to turn into a pellet grill. If you wish, you could also use a 55-gallon drum to create a vertical smoker. However, you must keep in mind that when you build your smoker from scratch, you run the risk of using materials which could release toxic fumes when they get hot. The experts recommend that you use food-safe iron components and a temperature-resistant powder coating. However, due to considerations regarding safety, you want to avoid using galvanized steel and aluminum. You can avoid these types of issues by choosing to convert an existing food-safe barbecue grill. One of the most dependable ways to create your very own pellet grill to prepare flavorful, smoked meat is to get a pellet smoker conversion kit and add it to an existing barbecue grill. You can find conversion kits that are specifically manufactured for the purpose, and those that are generic which can be added to any grill. Using a conversion kit will make the process of smoking your meat easier, as you won’t need to pull the meat and remove the cooking grates to add more pellets. Typically, a pellet grill will attach to the side of your existing grill. The advantage of using a conversion kit over building a smoker from scratch is that you can continue to use your gill for grilling as well as using it for smoking. The key to versatile grilling and smoking is the modern PID controller, which allows you to operate the grill from around 150° to 500°. Typically, the PID controller will have a grill setting as well as a smoke setting and can keep the temperature regulated within a difference of five degrees. Typically, these units offer a performance of up to 36,000 BTUs. You will start by loading wood pellets into the hopper of your pellet smoker. Then, the 2 RPM steel auger will deliver the pellets into the smoker at a rate which will help your smoker maintain the desired temperature. The auger will switch off when the desired temperature is reached and back on when the smoker starts to cool down. Most conversion kits come with their own specific instructions, though typically, the manufacturer of your unit will recommend that you cut a hole. For example, one of the conversion kits requires that you cut a hole in a location that is appropriate. The hole should be rectangular and will measure 4 ¼ by 5 ¼ inches. Basically, once installed, your conversion will extend approximately 12 inches from the side of your grill. You’ll want to make sure that you will have plenty of space for this extra extension where you plan to use your grill. One thing to keep in mind is that using a pellet grill that is digitally controlled is more than worth the extra effort of installation. This will allow you to serve up flavorful meat that has been perfectly cooked. A combo grill/smoker will give you results that are worthy of competitive barbecuing. Believe it or not, you truly can have tons of fun when you smoke your meat with your pellet grill. There are so many different varieties of cooking-grade wood pellets available. Often, beef will be smoked with pellets that provide a black walnut, cherry, mesquite, oak, or pecan flavor. In addition, most people seem to enjoy the flavor produced by hickory pellets. On the other hand, when smoking fish, it is recommended that you use wood pellets with a lighter flavor such as alder, but some people prefer using oak. Popular choices of wood pellets for smoking a turkey are apple, hickory, maple, or pecan. Finally, you can even get wood pellets that have been flavored with Jack Daniels, which lends a sweet, aromatic flavor to your meat. When you are using your pellet smoker, it can be interesting to experiment with a variety of wood pellets. The variations are almost endless. Something you may not realize is that you can also use flavored wood pellets in a tube smoker. A tube smoker is a tube that is six to 12 inches that creates a decent amount of smoke at a relatively low cost. It works with most barbecue grills. Typically, a 12” tube will produce flavorful smoke for approximately three to five hours. However, you must also keep in mind that a tube smoker does not give you the control that a digital pellet smoker will give you- but it’s still able to provide you with that smoked flavor that you want at a cost you can afford. Finally, one very important thing to keep in mind is that you need to avoid using heating-grade pellets in your pellet grill. These are created from a sawdust and a variety of scraps of wood, so their chemical composition may not necessarily be compatible with food that you plan to consume. Sure, you can use them so safely generate heat in a system that is properly vented – but you must avoid using them to smoke meat and other things that you plan to eat.